I have some stuff I need to do so I just thought I would add this thing I’ve been playing with – limited success, until I approached it logically LOL! 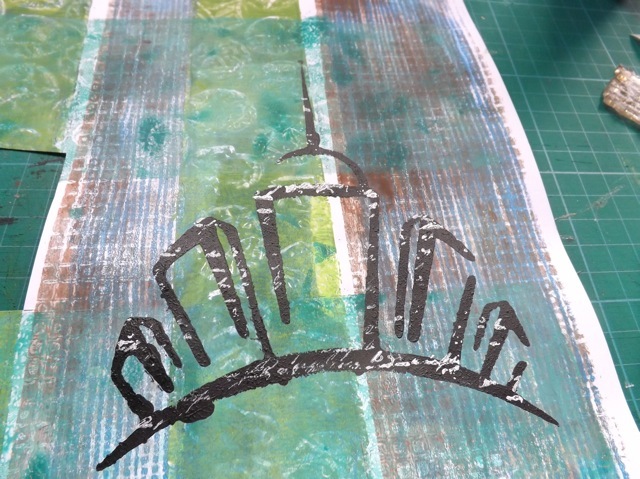 I used a stencil over a Gelli print, and stippled the black thru it, but there is no reason you can’t do the same thing when you have used a stencil to PULL a print. 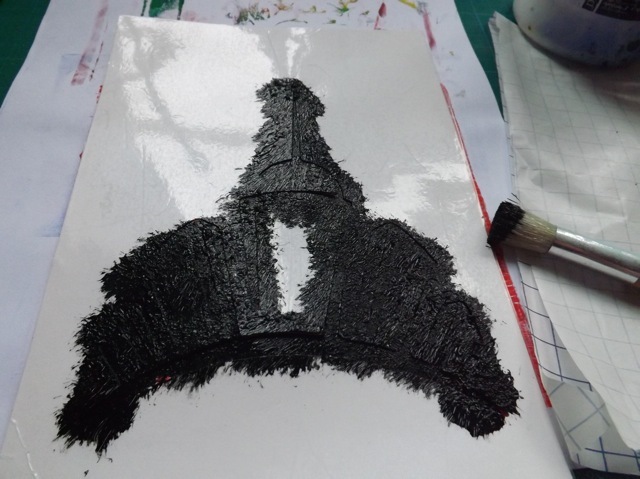 Once I had the black in place and it was DRY, I used my homemade white acrylic ink stamp pad (I had to slightly refresh it with a bit more ink last week, but it is still working well) to stamp text thru the stencil so it only appeared on the black. My problem was that the clear stamp was very fine, and although it sort of worked on my home-cut stencil, the raised text might not be deep enough to work with a commercial (thicker) stencil. Some areas worked better than others. So I thought how I might solve that – it’s a trade-off really. 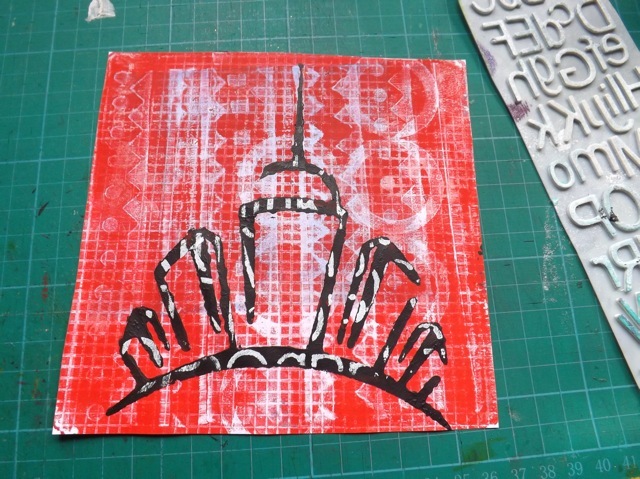 The thin text looks better on the thin lines of this stencil, but the thicker foam stamps give a much bolder impression. But with the bigger letters you lose the detail to the point you can’t tell they are letters. 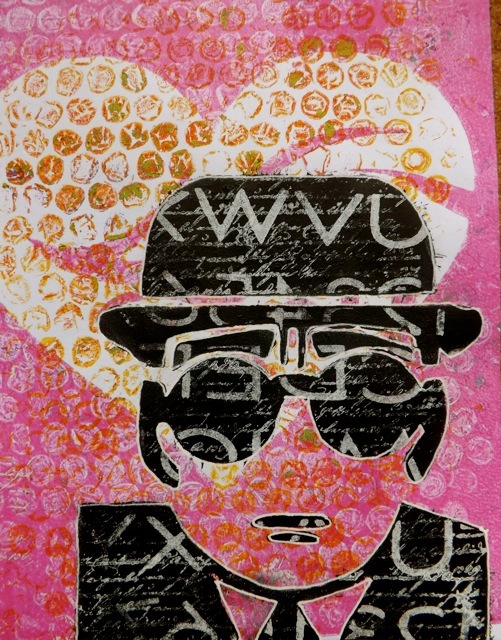 So the solution is to use a stencil that has a much bigger area. 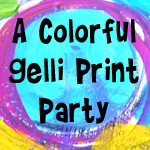 Shame I used the wrong stamp, the one with the letters reversed to use on the Gelli plate to remove paint. With that much black, even the clear stamp showed up well. As I’d messed up the stamping already I figured I might as well give it a go over LOL! I may still find a use for it, but even if don’t it was worth having a go. I def. like the effect so will be playing around with this a bit more, I’m sure! 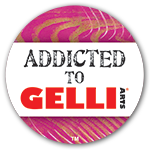 Categories: Gelli plate monoprints, stamping, stencils | Tags: Gelli plate, stamps, Stencil | Permalink. I love all the different things you try, so fun and inspiring! 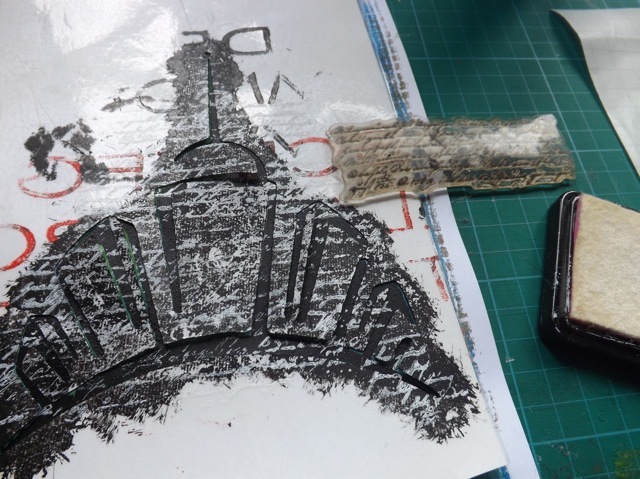 Yes, I’ve seen that problem before, but you’ve solved it with the wider stencil. 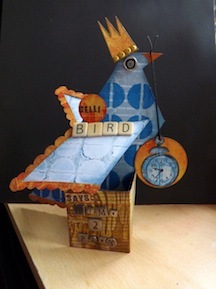 I so like the use of letter stencils on mixed media or gelli print work! It’s an edgy, graphic look that grabs you. I just subscribed myself to follow your blog, you’re so creative and I love all the experiments you do. I like it. How about name it “Life in the Rearview Mirror”.